After relishing an action-packed 2015, the primary market is all set for an encore in 2016 with as many as 20 companies have received Sebi’s nod for initial public offerings (IPOs), together looking to raise nearly 7,300 crore. In addition, around 11 firms are expected to seek Sebi approval, to collectively mop up 5,445 crore, according to Prime Database. Last week, Global Enterprises Ltd (HCG) announced a Rs. 650 crore IPO that will open for subscription tomorrow (March 16). Ahmedabad-based e-commerce firm Infibeam Incorporation and Bharat Wire Ropes will announce their IPOs today. Both the firms are expected to raise Rs. 450 crore and Rs. 70 crore respectively. The sentiment at the main board and the SME platform as well is upbeat after Sebi eased the IPO norms. Many SMEs have also lined up to raise capital to meet expansion costs and general corporate purpose. New Delhi-based Centre for Sight, Thyrocare Technologies, Nihilent Techonologies, GVR Infra Projects, Mahanagar Gas, GNA Axles and Maini Precision Products too have received a go-ahead from the market regulator. The Indian stock markets, which had technically entered a bear phase at the beginning of 2016, now seems recovering significantly on the back of budgetary announcements. The gradually improving macro scenario is another positive trigger. 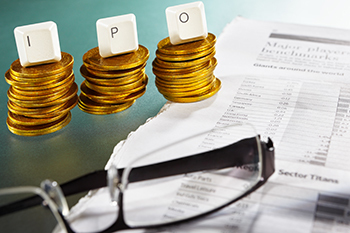 The overall scenario certainly generates positive sentiments for the IPO market in 2016.